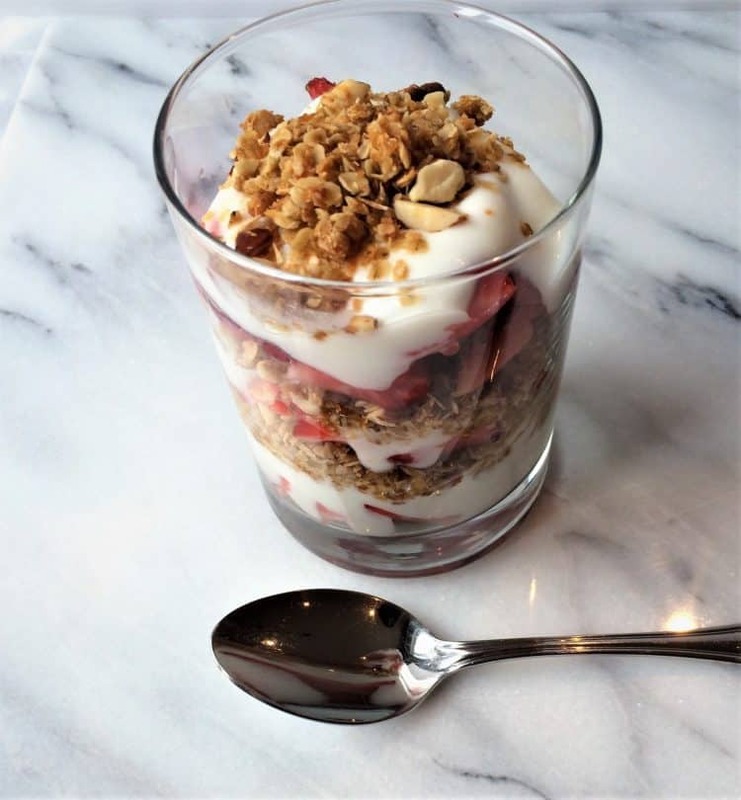 We are totally hooked on this homemade granola at our house! The kids and I are eating it almost everyday, either as a cereal with milk or in yogurt parfaits with berries. I started making this granola because I was trying to imitate a particular type of commercial granola cereal which I’ve enjoyed for years. But as I became more health conscious and began to look at food labels more closely, I realized that it had way too many calories and sugar to qualify as a healthy breakfast cereal. So I set out to replicate it with similar ingredients. 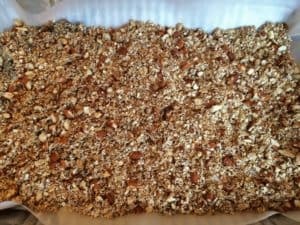 Most granola recipes include a variety of nuts and seeds to their mixture but I decided to stick to the same ingredients as in my favorite cereal. And don’t even suggest adding raisins! I don’t like raisins in my cereal and have been known to pluck out the raisins in my raisin bran. I also tried out the recipe with maple syrup instead of honey but decided to resort back to the honey, again looking for that particular taste. 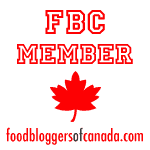 But you can use maple syrup, if you prefer. You might notice that my almonds pieces are quite large, yes that was intentional. I prefer large chunks of almonds to small slivered bits. 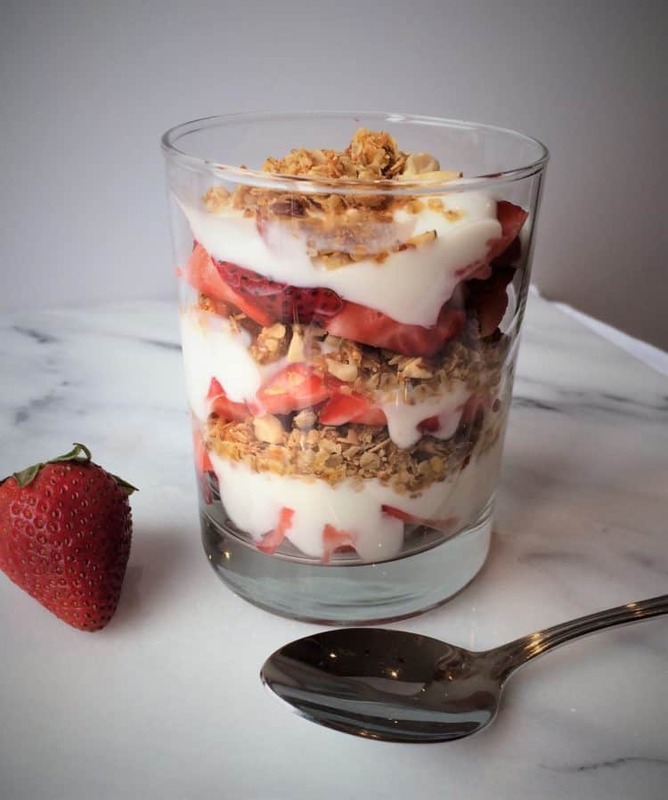 The beauty of granola is that you can add anything you like to it. Any combination of nuts or seeds will do and raisins or other dried fruits can be added after the granola has been baked. 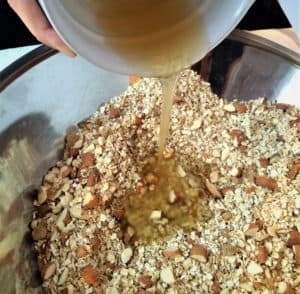 As long as you have your basic rolled oats and honey or maple syrup and vegetable oil mixture to bind it together you can adapt the whole thing to your liking. My recipe is not particularly sweet as I do not have a sweet tooth so you can adjust the sugar content if necessary. It’s easy to throw together and requires one hour and fifteen minutes to bake. Once ready it stores well in a glass container for weeks. And best of all, you know exactly what you put into it and don’t have to worry about your children eating all those sugary cereals. Enjoy! Homemade granola is easier to make than you think! You can vary the flavor by adding in dried fruit or nuts of your choice. Once you've made your own, there'll be no going back to store bought! Preheat your oven to 250ºF. In a large bowl, combine the rolled oats, almonds, coconut and brown sugar. Stir well until combined, making sure there are no lumps of brown sugar. Pour mixture onto 2 sheet pans covered with parchment paper. Bake for one hour fifteen minutes, stirring the granola every fifteen minutes. Allow to cool and store in an airtight container, preferably glass.